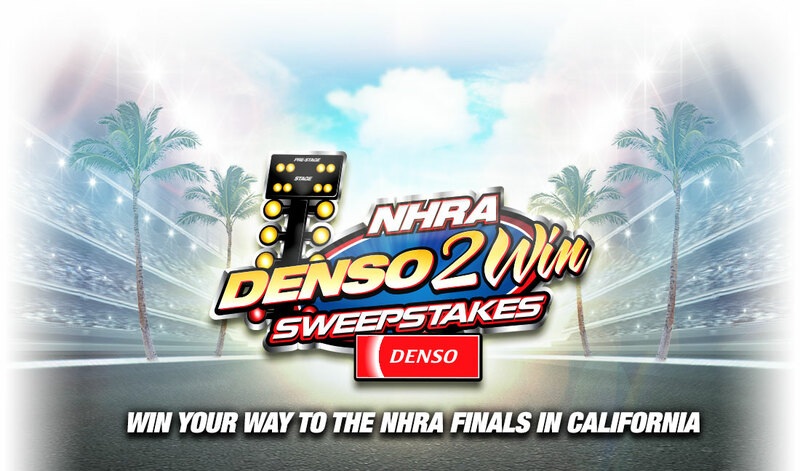 Denso Autoparts is giving racing fans the chance to enter once to win their way to the NHRA Finals race in sunny California! Winner will receive an NHRA VIP Finals Experience consisting of: a 4-day/3-night trip for winner and one (1) guest in Pomona, CA; round-trip coach air transportation for two (2) between the major commercial airport closest to the winner’s residence and Pomona, CA; standard hotel accommodations of Sponsor’s choice consisting of one (1) room for 3-nights (based on double occupancy); 4-days use of a mid-size class rental car (at Sponsor’s sole discretion/use of rental car subject to the terms and conditions of the rental agency; two (2) tickets to the events Saturday (November 12, 2016) and Sunday (November 13, 2016); and special VIP access for winner and his/her guest to the racers / ARV $2,000. HINT: You can actually get up to TWENTY entries. See the rules for details. This Sweepstakes ends on 10/16/16 and you can ENTER ONCE to win.